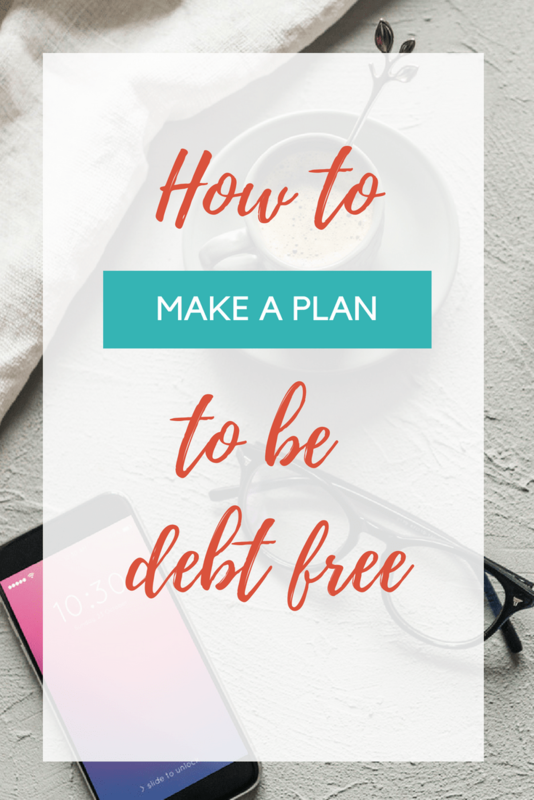 Today I am going to share our first step in our journey to being debt-free. Making a solid plan. I am a super visual person, so I really wanted something that mapped out how much we needed to pay every month on each loan (or at least a close estimate) and when we would have completed each loan if we stayed on track. In addition to being visual, I am also goal oriented. Knowing the month we were projected to pay off a loan and knowing how much we needed to be paying for each one each month made me feel motivated. This post will take you through every step that we took to set a strategy that ended up in us paying off $32,000 in debt in one year. Obviously, no one really wants to be in debt. But the first real step in this process is to always remember why you want to be debt free. Do you want a new house? Do you need to rid yourself of the stress of money? Ours was pretty simple. We wanted the freedom to do more things with our family and make lasting memories. This doesn’t mean expensive vacations. But it did mean being able to spend less time working and more time together. 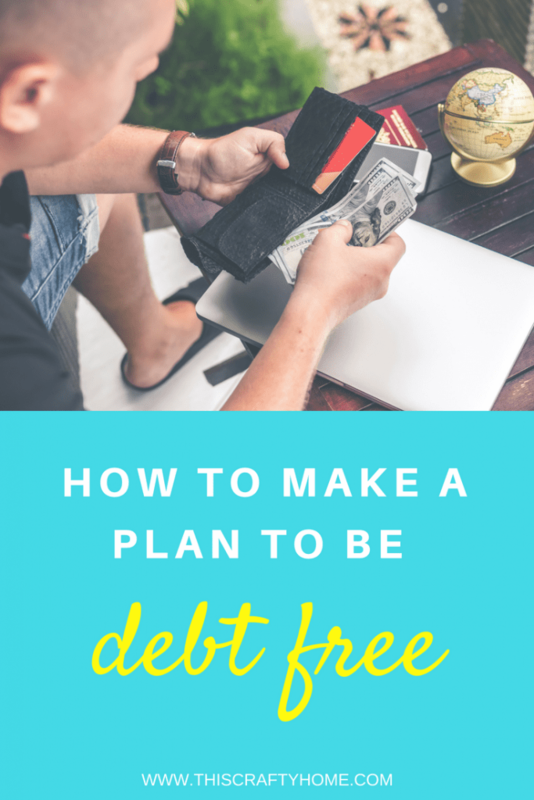 Knowing the reason behind why you are trying so hard to be debt free will help you stay motivated along the way. Being determined to pay off debt is more than half the battle. The first and most important part of our journey was making a budget. 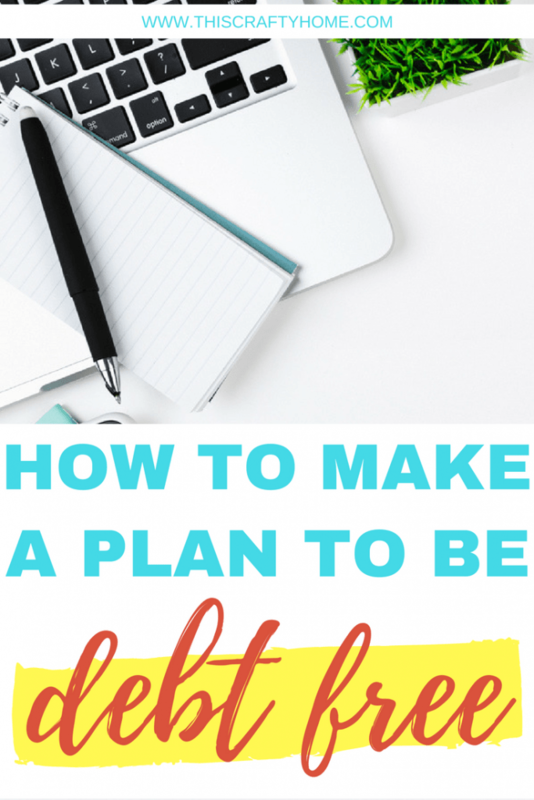 When you make a budget to be debt free, it needs to be as bare bones as possible. Only the things you have to pay for need to be set in stone. Go over your budget with a fine tooth comb. Where can you cut costs? Cable? Subscriptions? Anything that isn’t a need needs to go. Another aspect of this is cutting down your budget in areas that you shouldn’t be spending as much as you currently are. Typically this is going to be eating out, groceries, and entertainment. This is where mealing planning and determination are going to be your best friends. We spent an entire night searching for a software that would help us map out a payment plan. Most of the sites we did find that would make a plan either didn’t save any info so you’d have to put it all in again every time, others that had restrictions due to paywalls, and some that were just so hard to use you knew the information was there you just could not find it. Finally, after I went to bed that night Josh ended up finding undebt.it. Undebt.it does everything we wanted it to do and more. It even includes a handy feature of changing which way you’d like to tackle the debt and what difference it would make in time, money spent, and interest rate. Not to say it is not without its problems, I’ll be the first to admit it is a little unpolished. 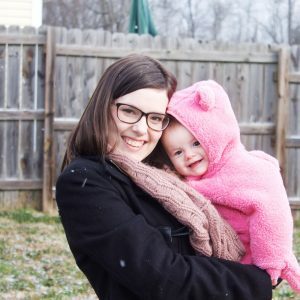 After inputting all of our loans and the amount of money we could feasibly put towards them each month we settled on a snowball plan that would set us up to have ALL our loans paid off, including our house, in 2024. I swear my jaw dropped. Eight years is all it would take to pay off our loans and a mortgage of over 100K. Honestly, I’m not even that worried about paying off our house, it’s all the other debt that really eats at me. In 4 years if we didn’t make any extra money and put exactly the same amount in we could be totally debt free minus our house. Obviously, you have to include a margin of error here, random expenses will always pop up. This also didn’t include if Josh or I got a raise, or made extra money on the side. After seeing all of this we were both so motivated to go forward, and in the back of my mind, I knew that completing something like this was something to be celebrated. Each of these was correlated with a smaller or bigger loan. So after we paid off a $1000 school loan we were able to go out to a nice restaurant, and when we pay the very last loan off we are going to Disney. I know this may sound counterproductive, spending money when you are trying so hard to pay off debt. But I really believe that this method made all the difference in us staying motivated in our first year of paying off debt. Every time we would get frustrated by not getting to eat out more, or just not stress about staying on budget we reminded ourselves that this was not forever. We weren’t going to have to wait four years to go out to eat, we were just waiting till the next month after we paid off our next loan. 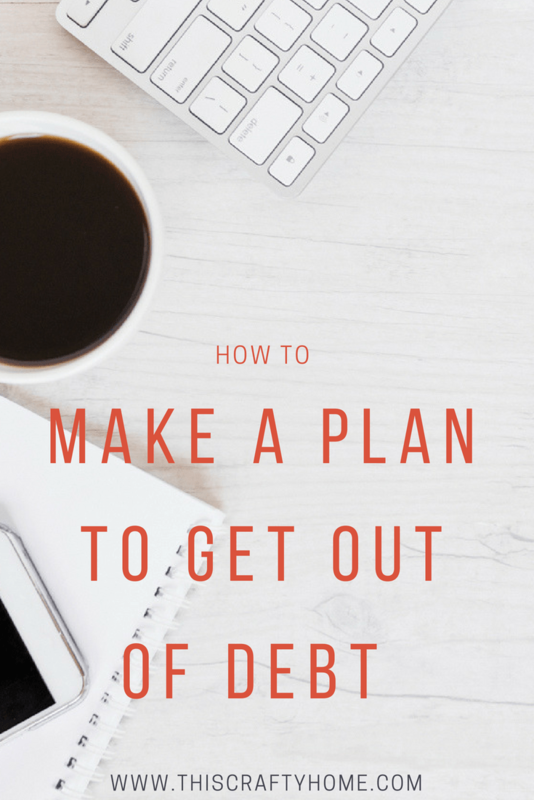 Using this method made us able to actually focus on more than just the lofty goal of being debt free and gave us a little breathing room along the way. The last step here is to put your plan into motion! Make the commitment to being debt free. 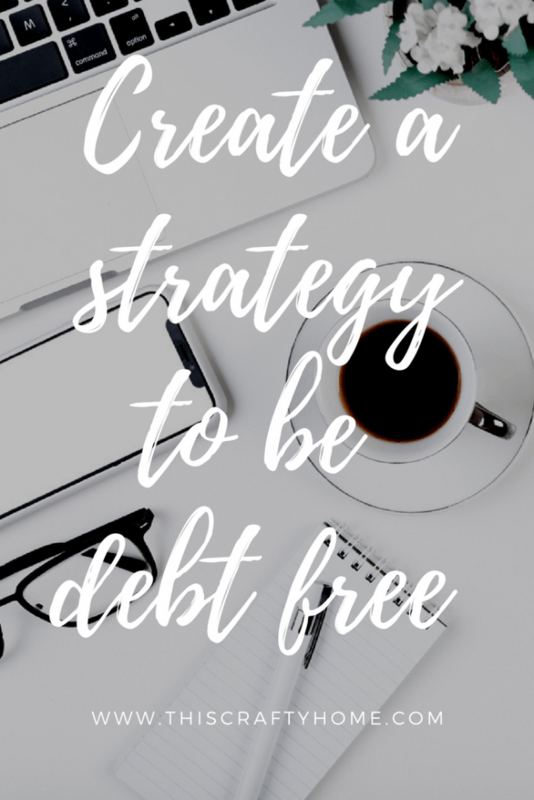 Write out your plan and your reason why you want to be debt free. Post it somewhere you can see every day as a constant reminder of why you are living the frugal life. Comment below if you have any questions about setting up your journey to being debt free! I’d be more than happy to help out.